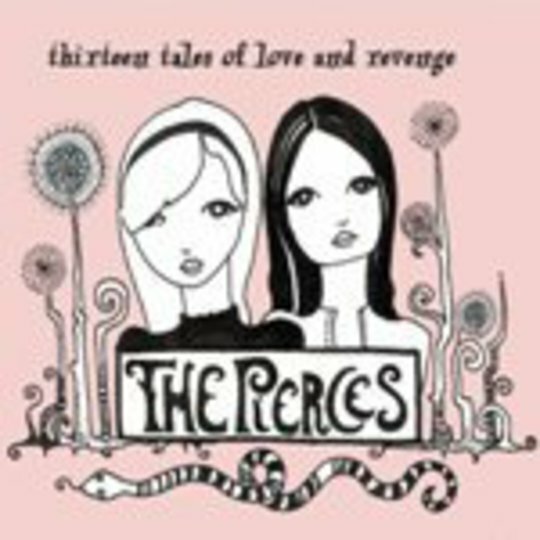 The Pierces are two sisters, Alison and Catherine Pierce, who were born in Alabama and moved to New York following a frankly highly unlikely chain of events. I’ve decided to believe their account, because too few pop stars claim to have rescued their sister from her gypsy dance troupe kidnappers by following a ninja training course consisting mainly of ballet lessons, and I therefore think those who do should be wholeheartedly encouraged. Happily the music on this – their debut album – is pleasing enough for me not to grudge The Pierces’ story a place on my list of six impossible things to believe before breakfast. Thirteen Tales of Love and Revenge is a thoroughly pop record; but it offers up a dark, juju type of pop music, kinda like a cross between The Bangles and a fashion-conscious coven. A lot of the words are on the ‘warped relationship’ theme – the sort you’d run a mile from the very idea of in real life, but which when wedded to a melancholically catchy and acidic pop ditty you somehow find yourself humming and possibly even singing along to in an approving manner. That’s the power of pop, innit? 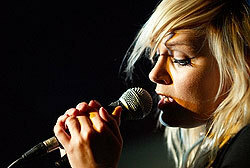 And there’re some very pleasing examples of pop tunes on here. The stand-out track is ‘Boring’, a kinda chilling but rather funny tale of finding everything – you guessed it – boring (“Love of my life / Bear your child / Everything I’ve ever wanted / BORING”), set to a hypnotic stomping tune with a marvellous harmonising chorus. That’s the most singular number, but there’re plenty of more conventional pop tunes that boast similarly contagious hooks and have an equally twisted subject matter. The Pierces play with a mixture of styles, tempos and moods – some of which hit nearer the bull’s-eye than others – but the whole thing has a most pleasing feeling of twisted, grown-up pop and a commendable ability to stick in your head without making you seek an exorcism. Which is nice: I’m fast running out of mental tune-exorcism funds, and having something decent stuck in my head warding off unwanted intruders is therefore a definite bonus.